15 interactive educational games that will keep your preschool and kindergarten age kids entertained while they are learning! Used by millions of parents and teachers to help educate and entertain young kids. As your pre-k child progresses through the lessons they earn stickers to add to their board, rewarding them for learning and playing! 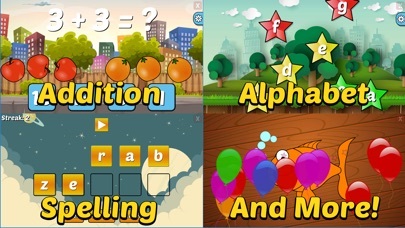 Helpful voice narrating, colorful graphics, and fun sound effects will help your child learn letters, spelling, math, and more! Designed using real world preschool and kindergarten curriculum’s and uses common core state standards. Kindergarten and preschool kids love these games! Includes 2 free games, unlock all 15 games through a simple in-app purchase. 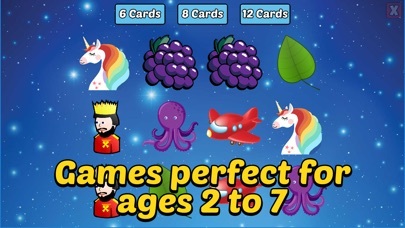 Perfect for pre-k children, toddlers, kids, and students who need a fun and entertaining educational game to play. 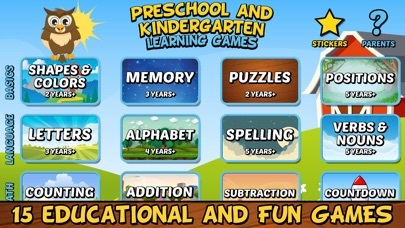 Keep your preschool and kindergarten age child entertained while they are learning! Ages: 2, 3, 4, 5, 6, or 7 year old. If you are having any issues please email us at help@rosimosi.com and we will get it fixed for you ASAP. If you’re enjoying the game then we’d love for you to leave us a review! Reviews help small developers like us to keep improving the game.